"Tiny Artists" is a series of small computer programs that print graphic posters according to their individual style, taste, and current mood. Each program is born with a short lifespan and can only create a limited number of works. A program will then delete itself and leave no digital trace of itself or its creations. The printed graphics are the only originals. "Tiny Artists" is a simulation of the commissioning of artists, a story of life and death in software, and a comment on the originality of art in the digital world. The programs are written in Processing, and are programmed to run only once. They will then output a series of 9 original graphic posters, print them, delete the digital files, and lastly delete their own source code. 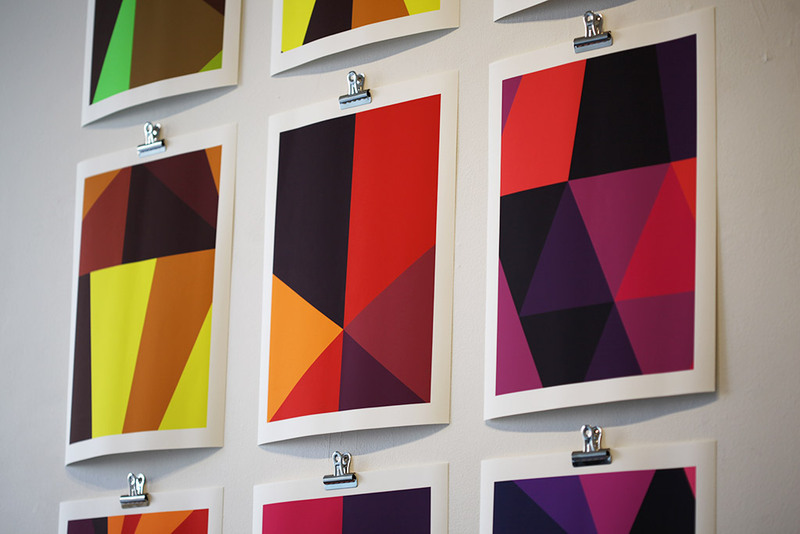 It's an attempt to create an original artwork in computational design, and are printed using archive quality Ultrachrome ink on fine art paper. 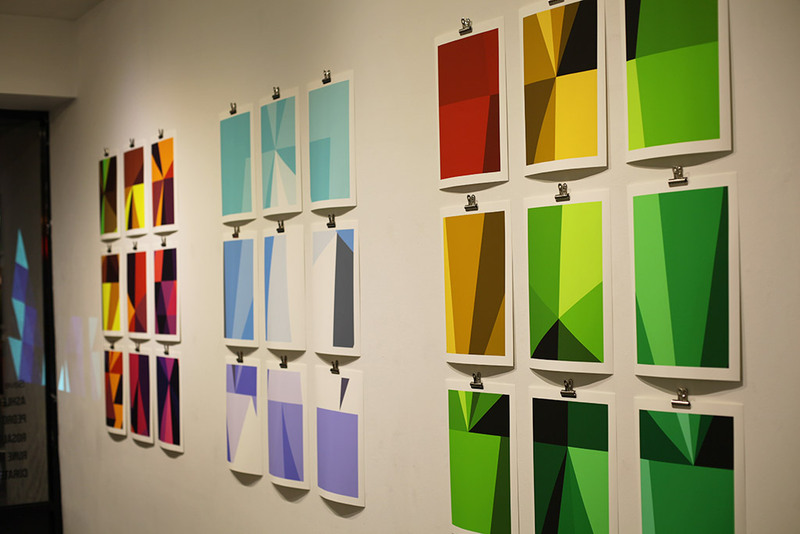 While the first and second series of prints explored the use of generative form and color, these prints uses grid systems to group each set of 9 posters. 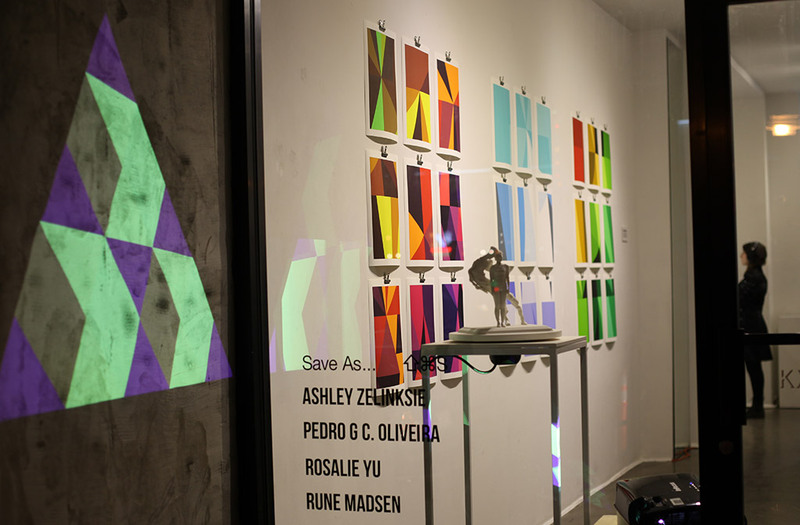 The prints were shown as a part of the Save As gallery exhibition at the Bunker Gallery in Manhattan.